The term “financial independence” gets thrown around a lot in personal finance articles and blogs, and not everyone uses it the same way. To some people, financial independence simply means earning enough to pay your bills, so you don’t have to depend on help from your family or the government. To others, it means being free of debt, so you don’t have to rely on credit to make ends meet. However, when you see the term written with capital letters – as “Financial Independence,” or “FI” – it usually has one very specific meaning: having enough money saved up to support you for the rest of your life. This type of financial independence – also known as being independently wealthy, or having “walk-away-from-it-all money” – means that you don’t have to depend on a salary. Once you reach Financial Independence, you no longer need to work for a living. Although most people expect Financial Independence to come with retirement, the two don’t have to be linked. Reaching FI doesn’t mean you have to stop working, it just means you no longer need to worry about how much you earn. So, if you’ve always wanted to give up your job in marketing and become a scuba diving instructor, FI makes it possible to pursue that dream. Even if you don’t make any money from your new job, you can still live off your savings or investments while doing what you love. Reaching Financial Independence is an ambitious goal, but it isn’t a complicated one. In fact, just a few simple calculations can give you a rough estimate of how many years it should take you to get there, based on your current rate of spending and saving. This is only a rough approximation, but it’s good enough to give you an idea of how far away you are from FI right now. Once you know that, you can start taking the following steps to reach personal Financial Independence sooner. To calculate your own Financial Independence Formula, the first thing you need to know is exactly how much you’re currently spending each year. If you already have a detailed household budget, this step is simple. Just look at your total monthly expenses and multiply that number by 12. If you don’t have one, then your first step on the road to FI is to make a budget. Sit down with a budgeting app, a spreadsheet, or simply a pen and sheet of paper, and list all your regular expenses – from your rent or mortgage payment, to your daily cup of coffee or bottle of water. Don’t forget to include expenses that only come up every once in a while, such as a quarterly property tax bill or a yearly insurance premium. Also, be sure to leave some padding in the budget for possible emergency expenses, such as car repairs or medical bills. Add it all together, and you’ve got your first key number: your total yearly spending. The lower the amount, the easier it is to reach Financial Independence. Once you know how much income you need each year, you can figure out your “FI Number”: the total amount of money needed to give you that level of income for life. Your FI Number depends on two things: your current spending, and your safe withdrawal rate (SWR). Your SWR is the percentage of your savings you can safely withdraw without running out during your lifetime. The amount of income you can reliably get from your investments is the total amount you have saved up multiplied by the SWR. So to find out how big a sum you need to reach the income you want – in other words, to find your FI Number – you just take your current spending and divide it by your SWR. For example, if your current spending is $30,000 per year and your SWR is 4%, you would divide $30,000 by 0.04, resulting in an FI Number of $750,000. Many financial experts say that 4% is, in fact, a reasonable SWR for most people. This guideline, known as the 4% rule, is based on a 1998 study published in the Journal of the American Association of Individual Investors, which is usually referred to as the Trinity Study. The study found that retirees who have at least half their nest egg invested in stocks can safely withdraw 4% of their starting money each year – adjusting annually for inflation – and have more left at the end of 30 years than they started with. Over the long term, the Trinity Study calculated, the 4% rule works through all kinds of market ups and downs. As long as you withdraw no more than 4% of your initial funds each year, your investments should last you for the rest of your life. Some financial experts claim the 4% rule is no longer valid in today’s economy, with its rock-bottom interest rates. However, a 2015 study by PricewaterhouseCoopers (PwC) concludes that the rule is still reasonable for households with “considerable wealth” – in other words, those that are Financially Independent. So even if the 4% rule isn’t perfect, it’s still a good guideline for planning your way to FI. The final part of your Financial Independence Formula is how much money you save each year. Once you determine your yearly spending, figuring out your yearly savings is easy: just subtract the amount you spend from the amount you earn. Now you have everything you need to figure out how far you are from Financial Independence. You know how much you need to save, and you know how much you’re saving each year. So if you divide the first number by the second, that tells you how many years it should take to reach FI. For instance, if your FI Number is $750,000, and you’re managing to save $25,000 a year, it will take 30 years to reach FI. However, this assumes that you’re starting from zero. If you already have some money in savings, the picture looks brighter. For instance, if your FI Number is $750,000, but you already have $250,000 in your retirement accounts, then you only need to save another $500,000 to reach FI. So at a rate of $25,000 per year, it will take you 20 years to get there. On the other hand, if your savings rate is lower, then your time to FI becomes longer. For instance, if you are only saving $10,000 per year, it will take 50 years to save up the $500,000 you need to reach FI. And if you save nothing at all, reaching FI becomes impossible – your savings never grow, and FI never gets any closer. Of course, all this is an oversimplification, because it assumes that the money you’re saving each year isn’t earning any interest. If you’re just keeping your money in a savings account, that’s not far from the truth, because interest rates right now are barely above zero. However, if you’ve invested your nest egg in a sensible mix of stocks and bonds, the return on those investments should add to your savings each year, shortening the time it takes to reach FI. 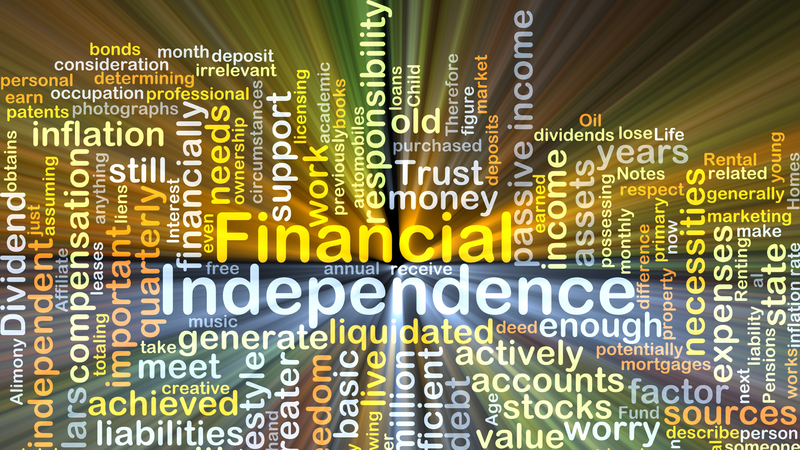 Essentially, the Financial Independence Formula is really just a starting point. It tells you the longest possible time it could take to reach FI – but sound investments can shave years off that total. If you want a more precise calculation that factors in your investment returns, you can use a Financial Independence calculator like the one provided by Networthify. Your Financial Independence Formula shows how long it could take you to reach FI at your present rates of spending and saving. However, you don’t have to settle for that. If you can find ways to cut your annual spending or boost your saving – or better yet, do both – you can reach FI a lot faster. Financial experts disagree about exactly how much you should aim to save. 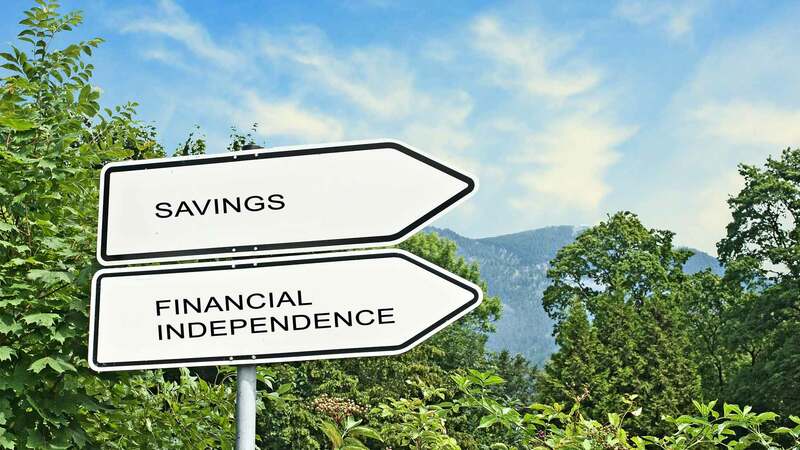 Financial writer Jonathan Chevreau, author of the book “Findependence Day,” says in an interview with Forbes that people aiming for Financial Independence should try to save 20% of their gross income. Chevreau considers this an ambitious goal that’s “impossible” for some people – yet many financial bloggers say they manage to save 50% of their income or even more, and encourage their readers to do the same. 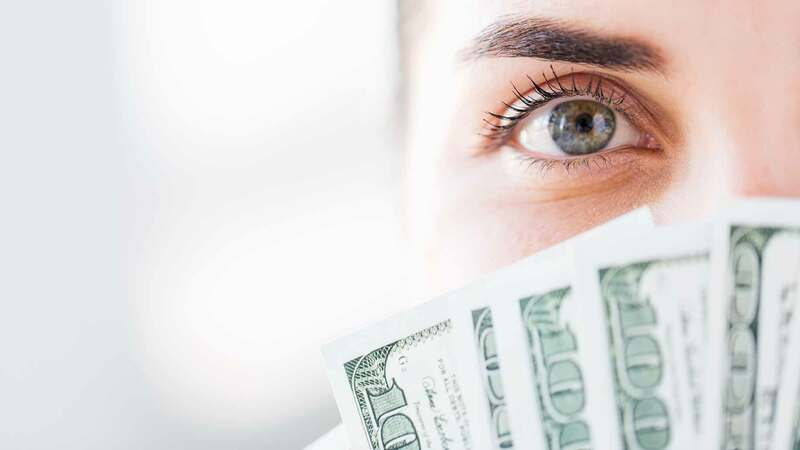 While experts have different views about what your actual savings goal should be, they’re pretty much in agreement about how to achieve it, generally recommending a trio of strategies: Pay off your debts, maximize your income, and cut your expenses. According to a report by The Pew Charitable Trusts, 80% of all Americans have some kind of debt. About 44% have home mortgages, 39% have credit card debt, 37% have car loans, and 21% have outstanding student loans. All told, a typical household is about $68,000 in the hole. Most of this debt is just dead weight in your budget. Month after month, you have to pay interest on it without getting anything of value in return. And the longer you take to pay it off, the more interest you end up paying in total. 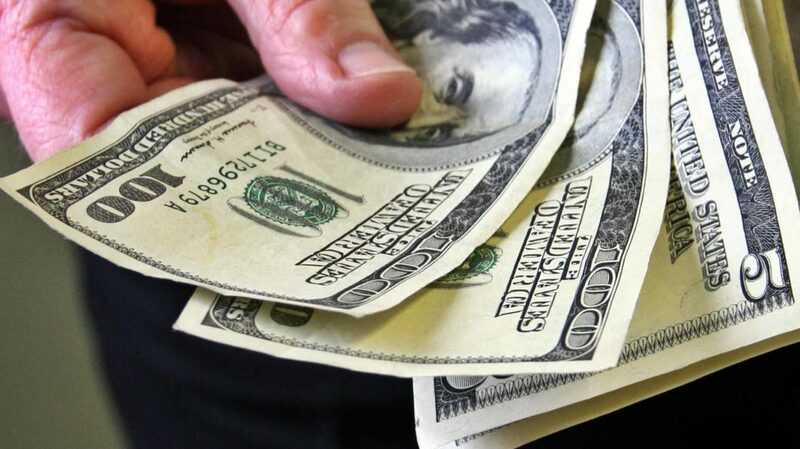 Paying off your debts frees up more money to put toward your investments. The sooner you can do that, the longer compound interest works for you, and the faster your nest egg grows. Your Main Job. If your job pays by the hour, you can try to get some additional shifts, or put in more overtime. If you’re on a salary, ask you boss for a pay raise. With either type of job, you can work on polishing your skills in order to earn a promotion – or learn a whole new set of skills so you can get a new, better-paying job somewhere else. Outside Jobs. If you aren’t getting enough hours of work at your main job, you can look for a second job to make up the difference. You can also start a side business, such as tutoring, dog walking, or freelance writing. Or, on a smaller scale, you can try to bring in a little extra cash from a hobby you enjoy, such as photography or crafts. Selling Your Belongings. A lot of people have extra stuff lying around the house that they no longer need – and some of it could be worth money. For instance, old furniture, coins, and jewelry sometimes have value to antique dealers. You can also get money for gently used clothing, furniture, and sports equipment through consignment shops. And, of course, you can sell nearly anything on eBay or Amazon. Passive Income Streams. One of the best ways to boost your income is to develop a passive income stream. This is a venture that, once started, keeps bringing in money with little or no additional effort on your part. Examples include rent from properties you own, royalties from books or music you’ve published, and ad revenue from a website that requires only minimal work to maintain. Reducing your expenses actually gives you more bang for your buck than boosting your income. In the short term, both strategies increase the amount you can save each month. However, cutting expenses also helps you in the long term, because it enables you to live on a smaller income for the rest of your life – which, in turn, lowers your FI number and makes it easier to reach. So, every dollar you earn helps you once, but every dollar you save helps you twice. For example, suppose you’re currently earning $55,000 per year, of which you spend $30,000 and save $25,000. That means your FI Number is $750,000 – your yearly spending multiplied by 25. And since you’re saving $25,000 per year, it will take 30 years to reach Financial Independence. Now suppose you get a raise that brings in an extra $5,000 per year after taxes. If you sink all that money into savings, you’re putting away $30,000 per year, and it will take only 25 years to achieve FI. However, if you can cut your expenses by that same $5,000 annually, you increase your savings to $30,000 and drop your spending to $25,000 at the same time. That means your FI Number is only $625,000 – and at $30,000 per year, it will take only 20.83 years to reach FI. So, you’ve just shortened your time to FI by nine years – 80% more than you’d be able to shorten it with that $5,000 raise. Another plus of saving more, as opposed to earning more, is that for many people, it’s easier to do. Getting a raise or starting a side business isn’t always possible, but nearly anyone can find some way to trim extra spending. There are hundreds, if not thousands, of money-saving strategies, so it’s almost guaranteed that some of them can work for you. Housing. If you can, find a home in a city or area where the cost of living is low. If that’s not an option, look for affordable neighborhoods in your own area. Instead of buying the biggest house you can afford, choose a smaller house that won’t strain your budget, or rent a home if it’s cheaper than buying. 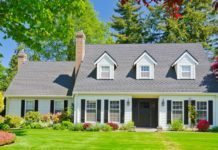 Get the lowest interest rate you can on your mortgage – or, if you already have a mortgage, refinance your mortgage to get a lower rate – and then pay it off as quickly as you can. Do as much of your own DIY home maintenance as you can, at least for simple jobs that you can easily handle. Transportation. If you live in a city, consider whether you can manage without a car – or use just one car for multiple drivers. Look into alternatives like walking or biking to work, using public transportation, or taking advantage of ride sharing and car sharing services. If you do drive, keep your old car running for as long as you can instead of trading it in for a newer model with a pricey auto loan. And, again, do simple maintenance jobs yourself instead of paying a mechanic. Food. To keep your food costs down, eat home-cooked meals as often as possible instead of dining out. Save money on groceries by shopping sales, buying store brands, using coupons sensibly, and cutting back on the most expensive items, such as meat and processed foods. If there are multiple stores in your area, create and use a price book to keep track of which stores have the best deals on different items. And, if you have a yard, start a home vegetable garden to grow some of your own produce. Shopping. The best way to save on shopping is to make sure you truly need everything you buy. Instead of replacing things like clothes or appliances just because they’re old, keep them until they wear out – and maintain them properly so they last as long as possible. When you do have to make a purchase, try shopping for secondhand items. If you do have to buy new, utilize a site like ConsumerReports to research the item you’re buying and choose a model that gives you good value for your dollar. Then, once you decide what to buy, shop around at different stores and websites to find the best deal. Entertainment. Instead of taking an expensive luxury vacation, plan a cheaper camping trip close to home, or even a staycation. Instead of going to the movie theater, rent DVDs for $1 from Redbox or borrow them from your local library. Replace your pricey cable connection with a streaming service, like Netflix, Amazon Prime, or Hulu. Enjoy cheap family entertainment options like board games, walks in the park, or geocaching. Interest Payments. As noted above, most American households have some kind of debt, and the payments on that debt can take a big bite out of your monthly budget. One way to reduce these payments is to improve your credit score. Boosting your credit rating helps you qualify for lower rates on home mortgages, car loans, credit cards, and even auto insurance. Improving your credit can also make you more attractive to potential employers and possibly open up new career choices, such as working in finance, that are off-limits to people with bad credit. Ways to improve your credit score include paying down your outstanding balances, avoiding late payments, and checking your credit report regularly for errors. One thing that’s misleading about the Financial Independence Formula is that it looks only at your spending and savings. That’s enough to tell you how long it would take to reach FI if you left your money sitting in a box earning no interest – but in real life, it’s possible to do much better than that. Along with boosting your savings rate, you can also get to FI faster by earning a good return on the money you set aside. Unfortunately, figuring out how to earn a good, yet reliable return is tricky in today’s world – and nothing is guaranteed. Decades ago, you could simply have invested your money in Treasury bonds and earned enough interest to provide you with a steady monthly income, with virtually no risk. That’s how Joe Dominguez, one of the authors of the book “Your Money or Your Life,” managed to achieve Financial Independence back in the 1960s. Today, with record-low interest rates, you can’t earn this kind of return without taking some risks with your principal. However, if you’re investing for the long term, time is on your side. You can ignore the day-to-day ups and downs of the market and focus on the quality of your portfolio and its performance over a period of many years. And over the long term, investments with some risk, such as stocks, tend to offer the best overall returns. If you’re aiming for Financial Independence, it’s worth taking a bit of short-term risk to maximize the chances of growing your nest egg over the long haul. On the other hand, it’s also important to consider your risk tolerance. Investing in stocks and bonds means losing money at times – and if you just can’t handle that, you’re liable to panic and sell off shares at a loss. Get a sense of your risk tolerance by talking to a financial professional, or simply consider how you’d feel if your investments took a 10% hit overnight. How about 20%, or even 50%? If you’re invested for the long-term, it’s usually prudent to hold your investments for many years, and roll with the losses. To save yourself sleep at night, make sure your investment risk matches what you can handle. A qualified financial professional can help you better determine your risk tolerance and set you up with a portfolio of investments that makes sense. Of course, you can set up your own portfolio as well. However, you must be willing to put in the time and effort to not only do the research, but to find suitable investments that match your risk tolerance and your long-term goals. The easiest way to invest for Financial Independence is to set up a “lazy” portfolio of either index funds or exchange-traded funds (ETFs). These funds hold a collection of investments that match a particular index, such as the S&P 500. Putting money into just a couple of funds that cover a broad range of U.S. stocks, foreign stocks, and bonds is one way to create a diversified portfolio to hold long-term. This strategy – known as “buy and hold” – has historically produced good results. The historical returns investing calculator at Bankrate, which is based on data from Yale economist Robert Schiller, shows that between 1960 and 2010, investors who bought and held stocks in the S&P 500 would have seen double-digit returns over any given 30-year period. Even an investor who had put money into the market right before it crashed in 1929 would have earned close to 10% on it by continuing to hold those investments for 30 years. As this example shows, the key to this type of investing is a willingness to wait out the ups and downs of the market. You have to resist the temptation to buy more shares when the market is booming, or bail out and sell everything when it goes into a slump. If you yield to this impulse, you end up buying when prices are high and selling when they’re low – exactly the opposite of what you need to do to make money in the market. Diversification. In essence, diversification means not putting all your eggs in one basket. When you buy shares of a single stock, your whole fortune depends on the performance of that one stock. When you buy a whole-market index fund, by contrast, your fortune depends on the performance of the market as a whole, which is a much safer bet. And when you combine that whole-market index fund with other funds invested in foreign stocks and in bonds, you’re spreading your eggs out over a huge number of different baskets – so even if the entire U.S. stock market crashes, it won’t take all your savings with it. Low Fees. When you invest in an actively managed mutual fund, you have to pay a fee to the manager. 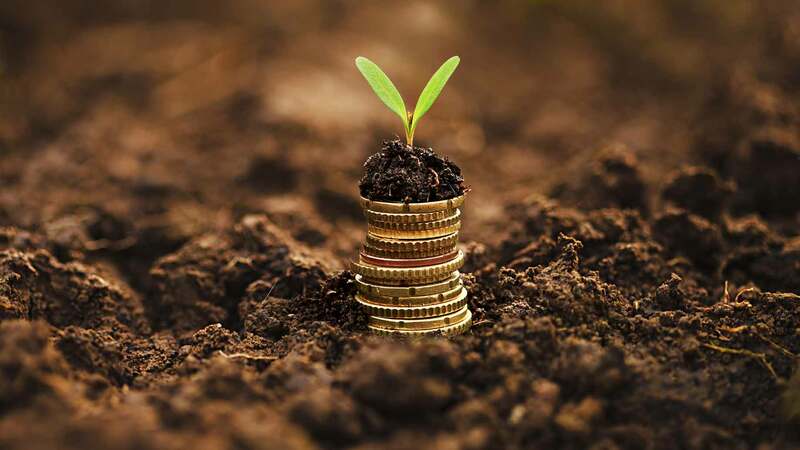 According to a report by the Investment Company Institute, the average managed fund had an annual expense ratio of 89 basis points, or 0.89%, in 2013. That doesn’t sound like much, but it still eats into your profits. By contrast, a typical index fund charges only 12 basis points (0.12%). ETFs are in between, with average expense ratios ranging from 0.11% to 0.37%, according to a report from Morningstar Manager Research. Simplicity. Lazy investing, as its name implies, doesn’t take a lot of time and energy. You don’t need to worry about which stocks or bonds are the best investment, or even about the best time to buy and sell. All you have to do is keep putting money into the same two or three funds, month after month, and hold onto those funds through thick and thin. If history repeats itself, and you’re able to hold long-term (ideally at least two decades), your assets should grow. It’s easy to set up a portfolio like this with an online brokerage, such as Capital One Investing (formerly known as Sharebuilder) or TD Ameritrade. You can select from a wide variety of index funds and ETFs to invest in, offered by companies such as Vanguard, Fidelity, iShares, Schwab, or SPDR. Investment advisor Rick Ferri, writing for Forbes, says all these companies offer a good selection of well-performing, low-cost funds. He uses Vanguard ETFs as examples to illustrate the lazy portfolio approach, but he says you can get the same results with similar types of funds from other companies. Ferri outlines a couple of ways to set up a lazy portfolio. The simplest is to buy just two funds: a diversified U.S. bond fund, such as the Vanguard Total Bond Market ETF, and a global stock market fund, such as Vanguard’s Total World Stock ETF. If you want a bit more control, you can invest in three funds, splitting your stock investments between a U.S. stock fund and one for foreign stocks – for example, Vanguard’s Total Stock Market ETF and its Total International Stock ETF. Chevreau, in his Forbes interview, recommends a three-fund ETF portfolio for investors working toward Financial Independence. If you use an online brokerage to build your lazy portfolio, you can also set it up to make your investments automatic. Most online brokers offer automatic investment plans that pull a fixed amount of money from your savings or checking account each month and put it into your portfolio, so you don’t need to remember to do it. Another benefit of investing automatically is dollar cost averaging. Basically, this means that you always put the same number of dollars into an investment each month, no matter what the share price is. By doing this, you automatically buy more shares when prices are low, and fewer shares when prices are high. In other words, you follow the classic investment advice, “Buy low, sell high,” without even having to think about it. When you first set up your portfolio, you have to decide how to split your money among the two or three funds you’ve chosen. For instance, if you have one U.S. stock fund, one international stock fund, and one bond fund, you could decide to put equal amounts of money into each one. Or, if you’re willing to take more short-term risk in exchange for more aggressive growth, you could direct a larger share of your money toward stocks – for instance, 40% each for foreign and domestic stocks and 20% for bonds. However, chances are that your three funds won’t all grow at the same rate. Over time, the percentage of money in each fund is going to shift. For instance, if your foreign stock fund grew faster than the other two, by the end of the year you could have 50% of your money in foreign stocks, 35% in domestic stocks, and only 15% in bonds. Once a year or so, you should “rebalance” your portfolio, transferring money from the funds with too much into those with too little. Some online brokerages, such as Wealthfront, can do this for you automatically. With others, you have to go into your account, look at the balances in your funds, and adjust them as needed. As your investments grow, you can track your progress toward Financial Independence. You can do this with some kinds of budgeting software, such as Quicken Deluxe, or use a free online investing app like Personal Capital. You can also use a spreadsheet program to create a simple tracking sheet on which you enter the current balance in each of your investment funds. The program can automatically add them up and show how the total compares to your FI Number. Or, create a slightly more complicated sheet on which you enter the balance each month, so you can see how the numbers change over time and even display results as a graph. Reaching complete Financial Independence before your retirement age is a challenge, and it isn’t possible for everyone. However, nearly everyone can follow these steps to reach an in-between stage of increased Financial Independence. At this level, the income you earn from your investments isn’t enough to cover all your living expenses, but it’s enough to allow you to live on a lower salary than you have now. This means that if you have a high-paying job you don’t really like, you can give it up to pursue a more interesting career with less money. For instance, if you’ve always wanted to start your own business or leave your office job to become a freelancer, your investment income could give you the freedom to do it. Or, if you like your job but would also like to have more free time for hobbies and other pursuits, you can arrange to reduce your work hours, dropping from full-time to a part-time or 3/4-time schedule. In this way, you can start enjoying some of the benefits of a Financially Independent lifestyle before you’re ready to leave work completely. How would being Financially Independent change your life?